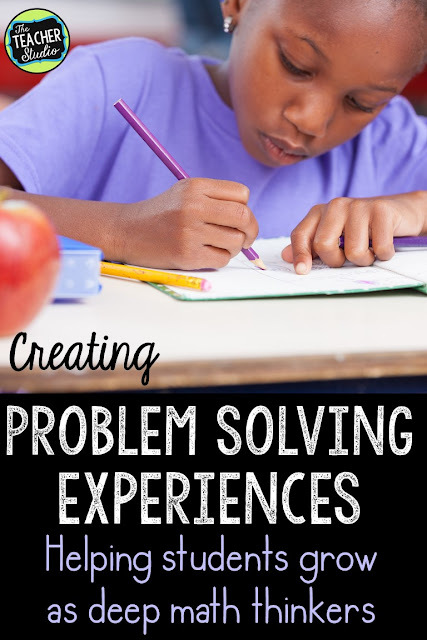 A few challenges ago, I talked pretty extensively about problem solving as it related to word problems with tips and suggestions and food for thought. 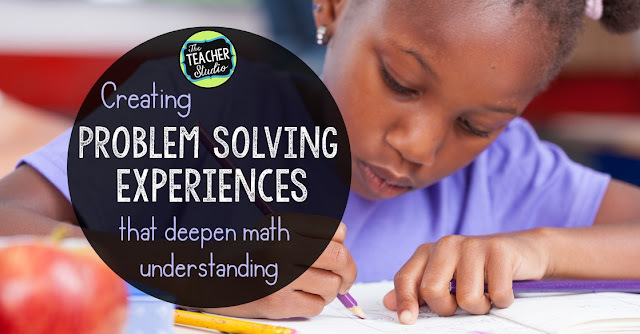 Today I want to talk about problem solving “experiences” that are NOT word problems so that we can adjust our thinking and plan for meaningful math instruction. So here we go…some ideas to get you thinking about problem solving! When using that definition, it’s easy to see that word problems are no the only way to help students achieve this state of “intellectual challenge”. In fact, one thing I like to consider when planning math experiences for my students is simply to try to engage them in a concept in a new, different way. 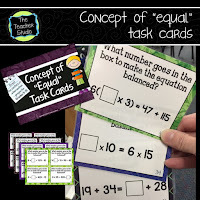 So often math series do just the opposite in their attempt to help students know what to do…they might have a task in one lesson, then do a similar task in a follow up lesson (perhaps with larger numbers) and so on. Instead, I feel we really need to ask students to USE the math they are teaching, to practice in different ways, and to make as many neural connections as they can while they work. What this does NOT mean is explicitly teaching a rainbow of different strategies. It simply means that we allow students to do math in different contexts. Let’s take simple computation as an example. When we want students to learn to add, subtract, multiply, and divide, we have a number of different strategies we can use to help them. We build deep understanding through manipulatives, number lines, picture models, and so on. Once students have deep conceptual understanding, we want them to work toward fluent and accurate work. This can be done with practice pages, games, and so on. Take a peek at how these different activities ask students to use their brain in different ways as they work toward fluency. This is one of my favorites…totally computation–but forces students to estimate, reason, think, and persevere. I put it up as a bulletin board, but you don’t have to…everything students need is right on the reproducibles. 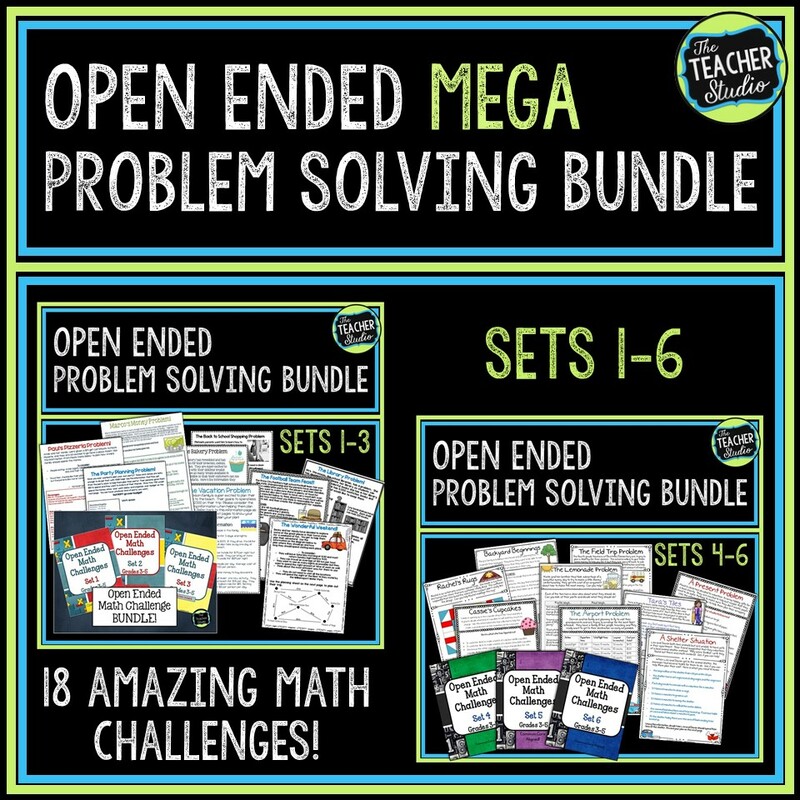 Each set has 5 challenges, and each challenge has 2 parts for differentiation…and then there are bonus challenges at the end. TONS of practice but really asks students to use their brains in different ways. 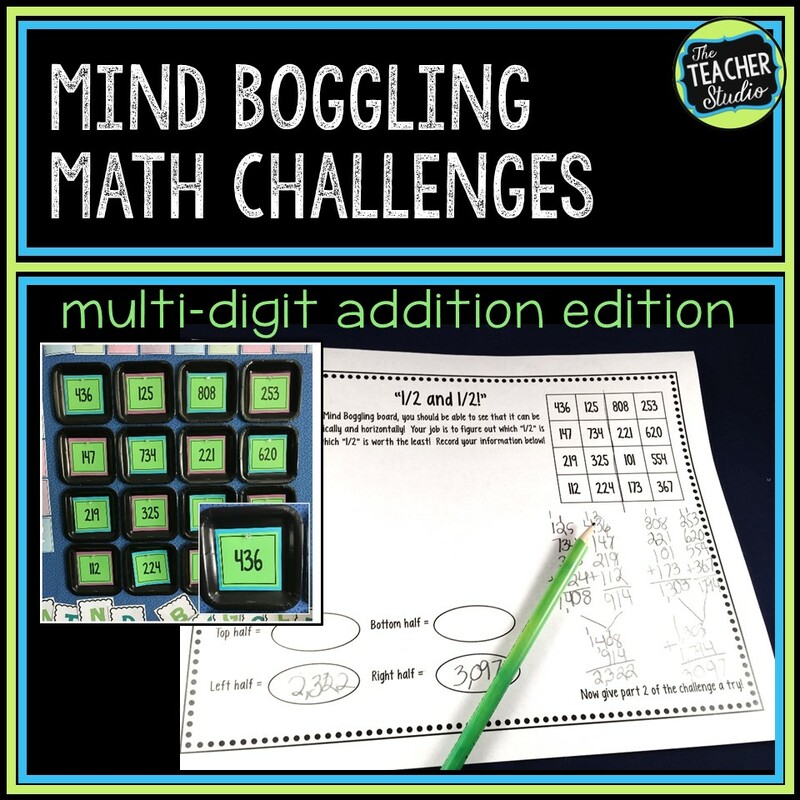 It’s a challenge–but students love it! This little video clip shows another way to get students working on computational fluency in a new and creative way. It forces them to really think about numbers and number combinations. I use this several times a year in different ways to get them really deep ways. See what you think! Another set of problems I use throughout the year is this one…these problems require students to draw from different strategies they have learned and to really just dig in and TRY. I love having them share their strategies and solutions with the “learning poster” component that I’ve included. Another type of problem-solving activity I like to use involves what I call “open ended tasks”. These tasks are meant to last a class period or more, can be done independently or in pairs or groups, and can be done at varying levels of sophistication. Students talk about math. A lot. Teachers can use this time to watch, notice, and coach. Students learn there are multiple ways to tackle a problem. Teachers can use this time when students are being productive to pull individuals or small groups–either to work on the task at hand or other skills needing intervention. Students practice applying the math they have learned. Teachers can tell whether math concepts that have been taught are transferring to unique tasks. Students learn to read critically and look for multistep parts of tasks. 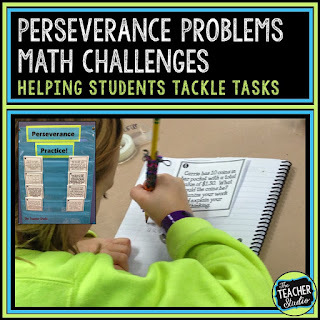 Teachers can help students develop growth mindsets and perseverance with challenging tasks. Students learn that there are real-world connections to math. Teachers can help build excitement for math. Teachers can help students prepare for standardized tests where they will see “novel” tasks and need to use their toolbox of strategies to solve them. The second one involves seven more complex tasks. They are differentiated so students can work at different levels, but these tasks are designed to take place over multiple days. In fact, I have them divided into sections so that you can use some or all of each one…and some students may do more than others. 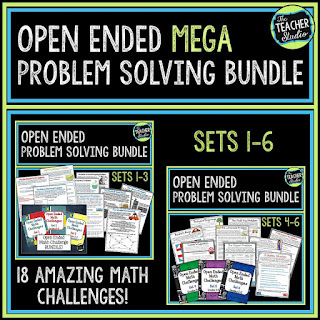 I want them digging in and doing math, writing about math, and then there are a ton of extension activities suggested as well. 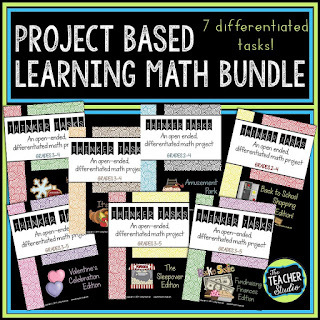 These are great for students to do during math workshop when they are not working with me because they get totally engaged and don’t NEED ME! I tried to write tasks on real-world concepts I thought they would like, and I use one of these tasks about every month of the year. One thing I have learned over my twenty-sixish years in the classroom is that we don’t spend enough time on number sense and we don’t immerse students in algebraic thinking experiences nearly enough. 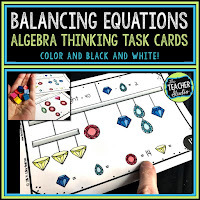 What we don’t talk about enough is algebraic thinking and how students need to be flexible with numbers and equations–understanding concepts like “equal”, recognizing patterns, and knowing how to flexibly “halve” and “double” things–all concepts critical to algebra work in later grades. This can be accomplished in many ways…but one of my favorite things to do from the very first day of school is work on the concept of equal. 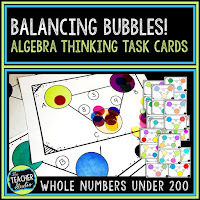 I have an entire blog post where I talk more about algebraic thinking if you are interested, and you can CLICK HERE to check it out. 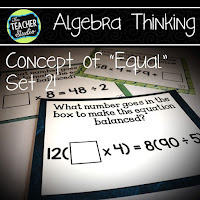 I also have a set of math concept sorts that I use to help with algebraic thinking as well as lots and lots of pattern work. Even being selective about the kinds of word problems we choose–making sure the “variable” moves and we aren’t always looking for the end result. I’ve linked a few resources below…see what you think! Another way to help students think more deeply about math is to make sure we are giving them real world math to do! I thought I’d throw out a couple of suggestions for ways to keep students engaged in the process and excited to dig in. See what you think! Use student names whenever you can…it keeps them engaged and makes it meaningful. Get to know your students’ interests–especially your reluctant ones–and use that information when writing or selecting problems. I had a HUGE sports crowd in my class last year so I used a ton of sports examples. Find things in your OWN life to use. 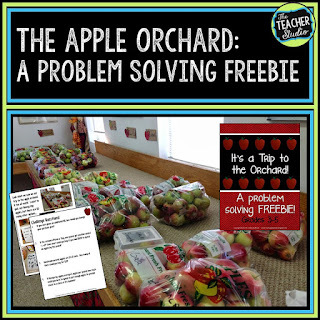 Check out this freebie below–it’s an example of an easy way to use “real world” math. This was at an apple orchard…but you could do SO many things like it. Find meaningful math around your school…students per class. Length of lunch hours. Minutes of recess. Students CARE about math that touches their lives. Have students create their own word problems on a topic they enjoy or love. Try favorite foods, sports, hobbies, and so on. Great for sharing with the class! Do you want a freebie to help you do some reflecting on these ideas? Here you go! Rather pin this for later?